Belinda Maxine Bostic Hingleton was born on September 15, 1957 in Eastover, South Carolina to the late Alvin and Thomasina Williams Bostic. After a long illness, Belinda departed this life on Tuesday, January 29, 2019, at the Medical Center Navicent Health at the age of 61. Belinda was educated in the Richland County Public School System in Eastover and Columbia, South Carolina. She started her career as a fashion and beauty model while still in high school and began to travel with the modeling agency thereafter. During a trip to Tampa, Florida she met and married Reginald James Alexander, Sr. on December 2, 1974 and their daughter Rai Gai was born. Years later Belinda returned to Columbia, South Carolina and married Ronnie Hingleton on February 6, 1994, and from that union Asa and Jessica were born. Throughout the years her career path took many interesting turns. She worked as a restaurant manager, personal caregiver, grant writer, legal counselor, private investigator, as well as a number of other positions. Belinda was very bright, resourceful and hardworking with a photographic memory. She excelled at whatever she put her mind to. It was once said by one of her doctors that she was intelligent and knowledgeable enough to be his doctor. He was very impressed even in sickness of how sharp her mind was. As a young adult, Belinda came to know Christ and dedicated her life to serving Him. She attended church faithfully as long as her health allowed. Belinda ensured she raised her children to know and love God. She had an overwhelming passion for the outreach ministry. She and her brother Marvin served in the prison ministry together. There were times when you could find her and Rai Gai on a street corner participating in a street service. She had a love for children, and great compassion for people, especially those that were hungry and hurting. She was nationally known for her gift of serving and helping others. She was also known for caring and providing food and shelter for young ladies who often felt unloved and turned to the streets for love. She shared with them the greatest love of all, the love of Christ. Never judgmental, just loving, never condemning just encouraging, never prideful about what she did, just humble that God allowed her to do it. She had a huge heart which was felt by all who ever encountered her. 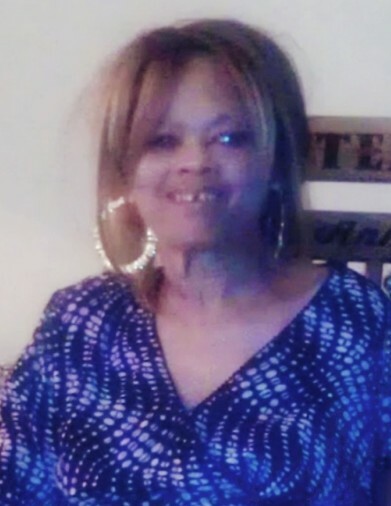 She is preceded in death by her loving parents, Alvin Lee and Thomasina Bostic; her son, Asa Hingleton; two brothers; Ernest and Marvin Bostic; and a nephew, Lamont Bostic. Left to cherish her memory are her husband, Ronnie Hingleton of Columbia, SC; three children, Rai Gai Alexander of Charlotte, NC, Jessica (David) Bostic Garbo, and DeAngelo Dreher both of Warner Robins, GA; five brothers, Levorn (Willie Ann) Bostic, Dennis (Shirley) Bostic, Clinton (Angela) Bostic, Tracy (Katherine) Bostic all of Columbia, SC, and Alvin (Vivian) Bostic, Jr. of Union, SC; three sisters, Glinda Bostic Minnis, Brenda Bostic both of Columbia, SC, and Marilyn Bostic Whitaker of Florence, SC; two uncles, Kenneth Williams of Mckenny, VA, and William (Ojetta) Bostic of Columbia, SC; three aunts, Esinge McBeth of Eastover, SC; Geneva Murray and Anna Brown both of Richmond, VA; two sisters-in-law, Sylvia Bostic and Mary Bostic both of Columbia, SC; five grandchildren, David Richardson of Charlotte, NC, Derrick, Journie, and Xyah Bostic, and Jadayah Garbo all of Warner Robins, GA; two best friends who were like sisters, Venetta Taylor and Marion Bradley both of Warner Robins, GA; and a host of other loving relatives and friends.